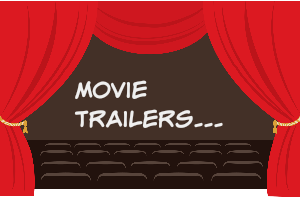 The Secret Life of Pets is in theaters this summer and anyone who has owned a pet should be able to relate to this trailer! I am stupid excited for this movie! I can't wait to see the actual plot-trailer though! Me too! I hope an actual story can be sustained because so far it looks hilarious. The animation is spectacular on this! It looks so cute and hilarious! Definitely will be seeing this as soon as its out! It's so spot on with the animal behavior too! I can't wait until this one's out! I have wanted to see this one since I first saw that trailer. I hadn't seen the holiday one. LOVED it! ROFL! I did! I have that one in draft to post later lol I would definitely be like that bunny!!! Me too! Are there any human main characters? I hope the story holds up because it looks adorable. I had not heard about this movie, but now I really want to see it! We just got a Morkie puppy a few months ago, so I'm pretty gaga over dogs (and of course our cats) at the moment! I really really want to see this movie! I saw the trailer for the first time in theaters and thought it was adorable!